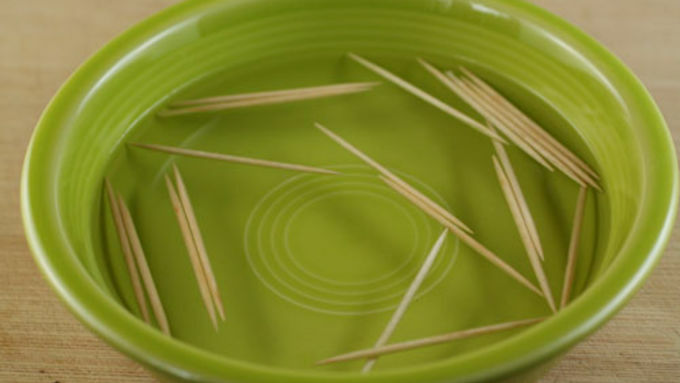 Soak toothpicks in warm water for at least 30 minutes. Cut off jalapeño stems and split the peppers down the center. Scrape out all the seeds. 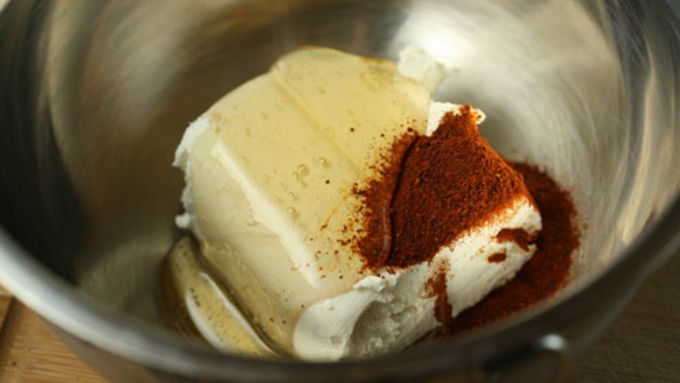 In a small bowl, mix together cream cheese, chili powder and honey until well combined. 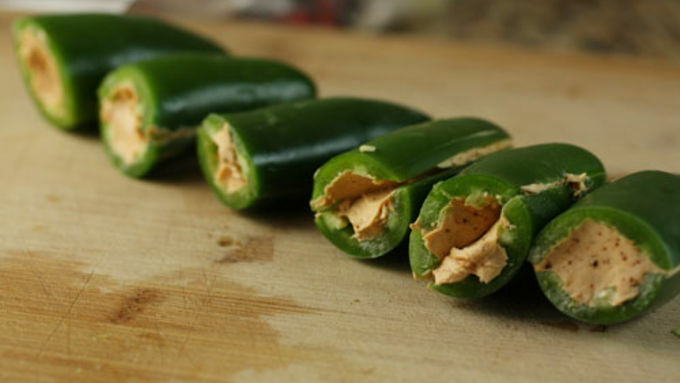 Spoon cream cheese mixture into both halves of each jalapeño. Stick jalapeño back together again. 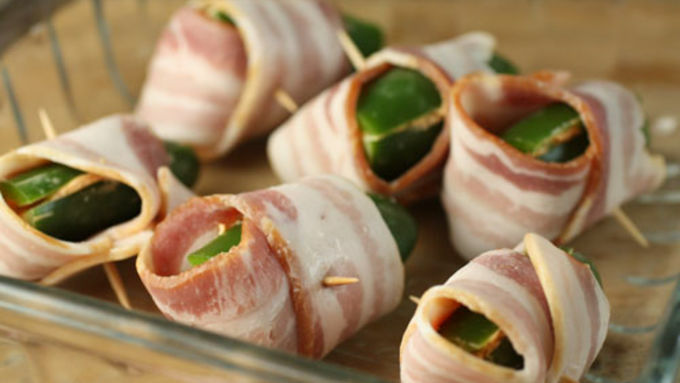 Wrap each jalapeño with a whole strip of bacon. Be sure to cover the top of the jalapeno so the cream cheese doesn't all come out. Use a wet toothpick to secure the bacon and hold everything together. Grill poppers on medium heat until the bacon is crispy and pepper cooked, about 20 minutes. Turn occasionally. Some of the cheese will come out while cooking, so don't worry if some drips out. 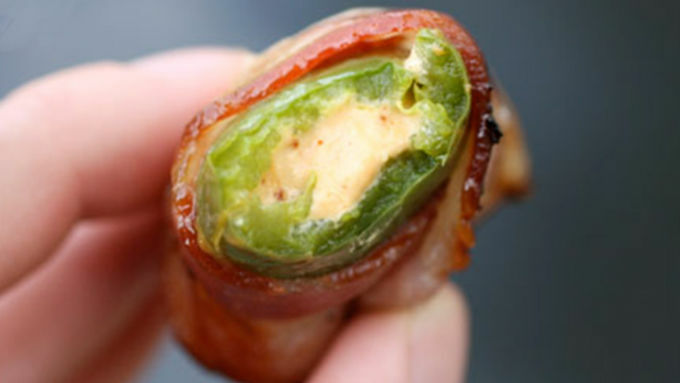 When most people think of a jalapeno popper, they think of a large, breaded, deep-fried thing filled with cheese. Now, there's a place and time for such a thing. Namely, if you're at a chain restaurant. But we can do better at home, people. SO much better. And we don't have to break out the deep fryer! All we have to do is fire up the grill. That's right. 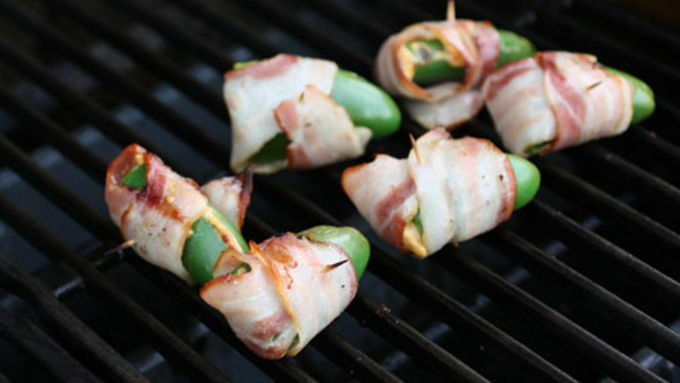 This jalapeno popper recipe is made for the grill! 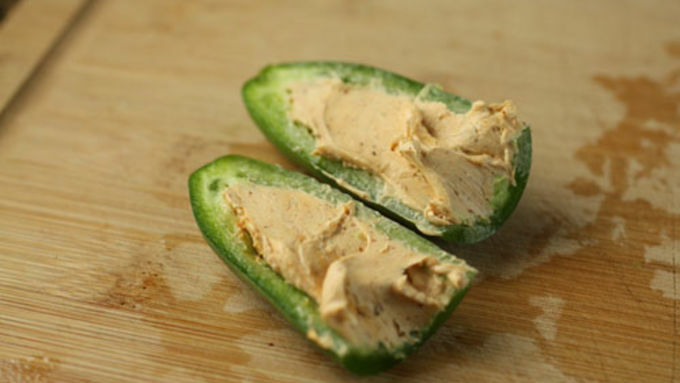 Before you even touch a jalapeno for this recipe, get out a big bowl, fill it with hot water and throw in some toothpicks. If you don't soak these guys, they will burn in an instant on the grill. They'll probably burn a little no matter what, but you should be able to handle them if you soak them first. So get that out of the way. Now, traditionally, poppers are filled with some bland cheese. Again, we can do better than that. Cream cheese is a great option. It melts really well and is easy to mix with other ingredients. Speaking of other ingredients, a big pinch of chili powder and a squeeze of honey make great additions. The chili pepper brings out the heat in the peppers and the sweet honey works great with the bacon/pepper combo. You want to grill these guys over medium heat. Any higher and you run the risk of scorching the bacon before the pepper is done or heating the cheese so hot that it explodes out of the pepper. Just a nice medium heat for about 15-20 minutes, turning occasionally, should do the trick. As the poppers cook and the cheese melts inside, obviously you're going to lose some to the grill gods. Don't worry about it. There will be plenty in there still for eating. When the bacon is crispy and the pepper soft, they're done! We recommend letting them cool for 5 minutes before biting into them. These are not a single bite appetizer. Multiple bites will be necessary. So, ditch the fryer and the bland cheese. 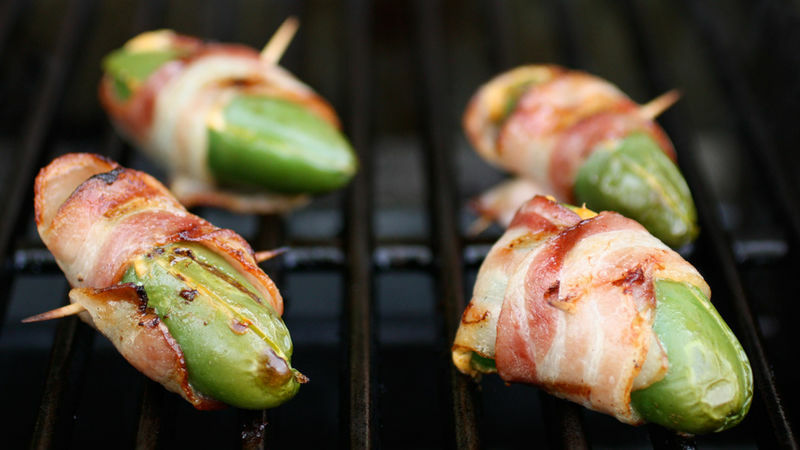 Get with the grilling program and make some great poppers!